Denny Brown is the contact with school districts and supervises the placement of teach preparation candidates in all three of our teacher pathways. He also recruits, trains, and supervise mentors for Heritage candidates. 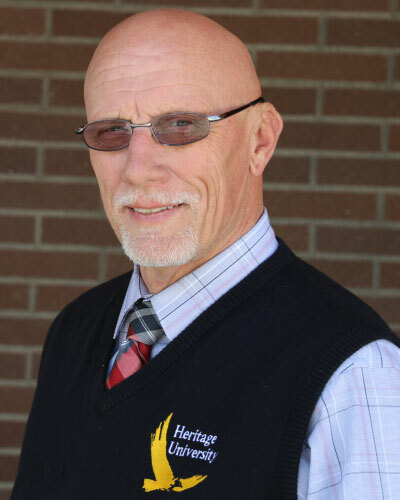 Denny came to education later in life and started his educational career as a classroom teacher in the Zillah School District where he taught Middle School for 11 years. He then accepted an administrative position at Wahluke School District where he served as an assistant Principal and athletic director for 3 years. In order to be closer to home, Denny took over as the Athletic Director and Vice Principal at Mabton Junor Senior High for 7 years before being named as Principal at the newly formed Mabton Middle School for 3 years. He finished his public education career as an assistant principal in the Yakima School District where he served for 4 years. Since Denny has served in 4 districts in our region, he has had the opportunity to meet and serve with many educators in Central Washington. This has been very helpful when placing Heritage teaching candidates.